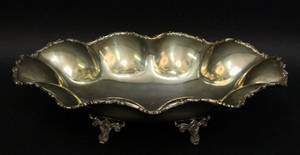 Mexican sterling silver bowl of oval form with scrolled foliate decorated rim on large scalloped and ruffled lip. 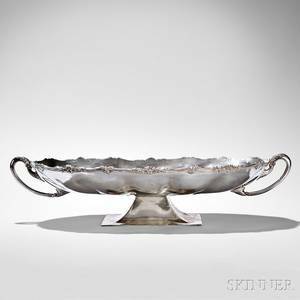 Bowl raised on four legs with leaved and scrolled motif. 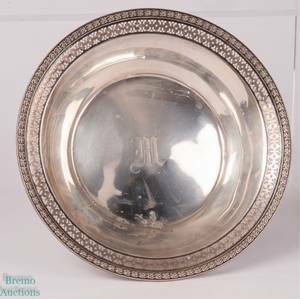 Marked underneath with "HECHO EN MEXICO" surrounding pointed triangle and "925" as well as "STERLING". 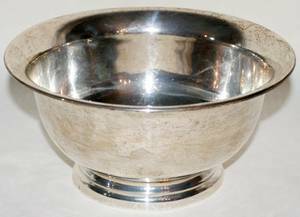 Height 4.75", width 17", depth 13".The bowl weighs approximately 45 troy ounces. 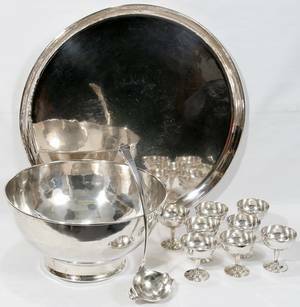 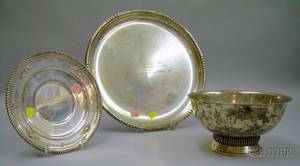 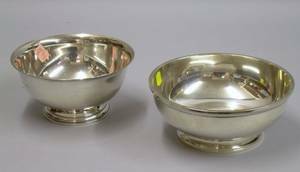 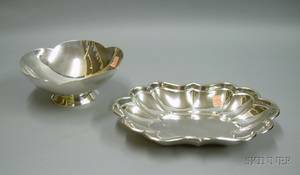 Sterling Silver Revere-style Presentation Bowl and a Gorham Sterling Silver Footed Bowl. 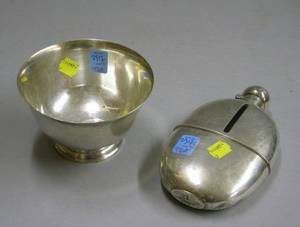 English Sterling Silver Flask and a Small Tiffany & Co. Sterling Silver Footed Bowl. 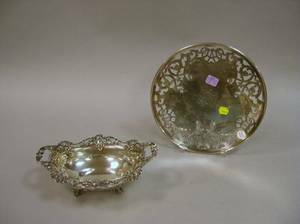 Rodgers & Crull Sterling Silver Pastry Tray and a Sterling Silver Footed Bowl.